It comes as no great surprise that the first "Trial of the Century," took place in Fall River, Massachusetts in 1893 (The next great trial being that of Richard Bruno Hauptmann in the Lindbergh kidnapping case in 1935). Andrew was slumped on a couch in the downstairs sitting room, struck 10 or 11 times with a hatchet-like weapon.One of his eyeballs had been split cleanly in two, suggesting he had been asleep when attacked. Soon after, as neighbors and doctors tended Lizzie, Sullivan discovered Abby Borden in the upstairs guest bedroom, her skull crushed by 19 blows. Police found a hatchet in the basement which, though free of blood, was missing most of its handle. 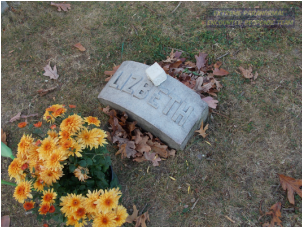 Lizzie was arrested on August 11; a grand jury began hearing evidence on November 7 and indicted on December 2"
The outcome of the trial was an acquittal after only an hour and a half deliberation by an all male jury, whom according to curators at the Lizzie Borden Bed and Breakfast, the jury most likely felt that a woman was incapable of committing murder in this fashion. The Borden house circa 1892. 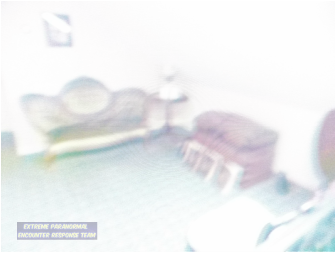 Picture Stacey took just prior to the EVP. The Bordens' remains united in death. 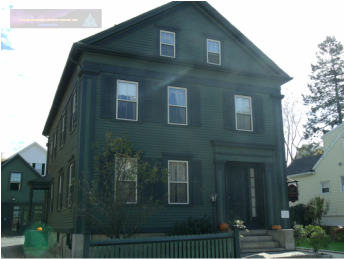 On November 2nd, 2013, ExPERT Founder, Stacey Horton and Co-Founder, Steve Kulls, were departing from their Salem investigation and decided to visit the Lizzie Borden Bed & Breakfast. Upon arrival, one of the great curators allowed us to hang back from the tour group, long enough to do three to five minute EVP sessions while the tour group moves to the next session. Not expecting to find much in the way of evidence, we were in the housekeeper's bedroom on the third floor, (which staff tells us, for some reason the third floor seems the most active) when we caught a single word, Class A, clear and concise EVP of an older female voice right after Stacey takes a photograph. On a curious note the picture Stacey had taken at the time, was distorted for some unknown reason. 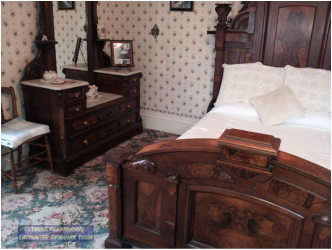 Upon our return home, we were quite shocked to get an unsolicited EVP, basically telling us to move it along! 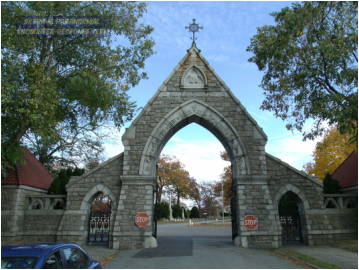 We also visited the Oak Grove Cemetery, where the Bordens are buried, and the impact of what had occurred in 1892 slaps you in the face a bit. 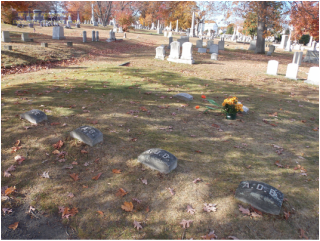 The graves of the entire family are there, buried together as if nothing had occurred. Lizzie's sister Emma would eventually leave her sister's side and never speak to her again. Yet in this cemetery all their remains are all united. 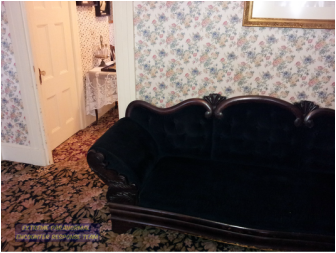 Our thanks to the wonderful staff at the Lizzie Borden Bed & Breakfast. See you soon!